Billionaire Roustam Tariko, the owner of Russian Standard vodka, said he may expand his liquor distribution business into neighboring countries. Tariko, ranked Russia’s 47th-richest man by Forbes magazine, said he will consider acquiring rival spirit makers to bolster growth. 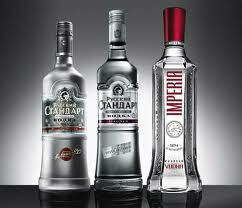 In June, Tariko announced plans to buy Nemiroff, a Ukrainian vodka maker, to add lower-priced brands to his Russian Standard portfolio.